Immigration and Customs Enforcement, working at the epicenter of the Trump administration’s crackdown on illegal immigration, has released incomplete data on its detention facilities that muddies the costs and the agency’s reliance on private contractors, according to critics at two nonprofits. 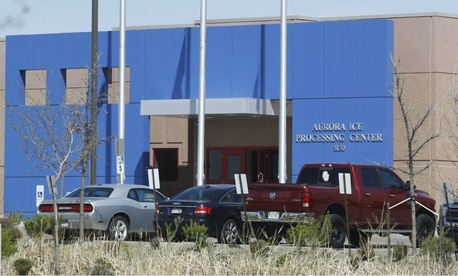 The Detention Watch Network and the Center for Constitutional Rights, following years of litigation and Freedom of Information Act requests, in late November released a previously unpublished spreadsheet of 201 ICE facilities. They have housed, on average this year, 35,929 people, 73 percent of them in facilities run by contractors, the groups said. ICE has long had a map of facilities on its website, but “they’re only pretending to give the full list,” Mary Small, policy director for the Detention Watch Network, told Government Executive. She said the ICE website map shows 112 locations and is out of date, while the July 2017 spreadsheet reveals 201, along with other key information on which ICE has not been transparent, in her view. To the critics of ICE, the new numbers suggest that ICE has been “unconcerned with congressional oversight” and has offered questionable claims to lawmakers in charge of funding that its costs per detention bed are increasing. The nonprofits’ analysis also criticizes ICE’s signing of new contracts with private corrections companies that are “inconsistent” and “sloppy” in ways that allow conditions that can endanger detainees, such as providing unhealthy food and sanitation. A recent Homeland Security Department inspector general’s report highlighted some of the health and safety issues. The long-standing lawsuit stemmed from the group’s desire to examine unredacted contracts and other documents to evaluate ICE’s compliance with bed-cost mandates at its facilities. Funding increases requested for fiscal 2018 are directly related to ICE’s new responsibilities under President Trump’s executive orders, implementation of which “has already resulted in significant increases in ICE interior arrests,” said the statement, which did not address the transparency issues. “ICE’s detention costs include more than the daily bed-rate. Detention funding must also cover the total cost of detention which includes items such as medical care, detention beds, labor costs and overhead."